Dovetailing Tip: Save any leftover peas to use in Bubble and Squeak on Day 4. Bring a shallow pot of lightly salted water to a boil over medium-high heat. Add frozen peas, and cook for 3 minutes, or until tender. 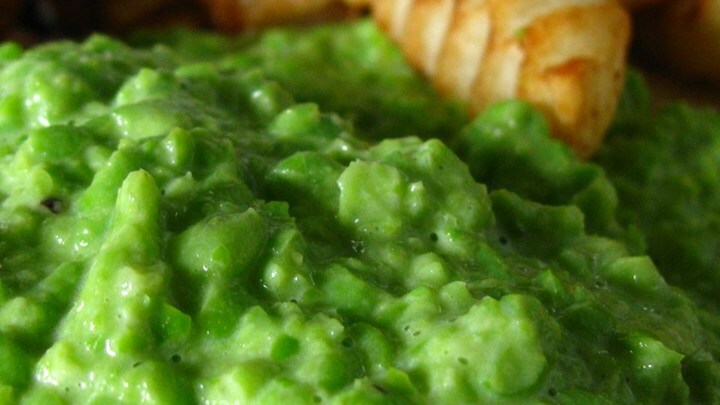 Drain peas, and transfer to a blender or large food processor. Add cream, butter, salt and pepper to peas, and process until blended, but still thick with small pieces of peas. Adjust seasonings to taste, and serve immediately.